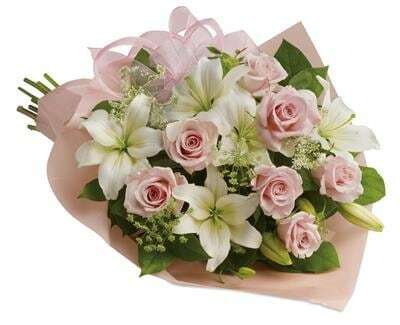 Stunning in its simplicity, this innocent harmony of roses and lilies are a heartfelt way to send your very best. 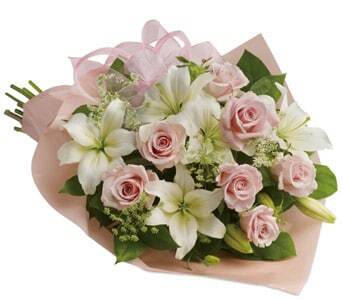 Port City Florist is a long established flower shop in Port Macquarie. We specialize in making beautiful fresh flower arrangements for every occasion, birthdays, anniversaries, new births, weddings, sympathy, or just to say "I love you". We also carry a large selection of quality artificial flowers and trees, making the most realistic artificial flower arrangements available. Our staff are all qualified florists who are always happy to help with your floral needs, be they fresh flowers or artificial displays.